When Charleston shooting victim Tywanza Sanders sent his friends a Snapchat, he didn't realize he was potentially capturing his murderer on film. 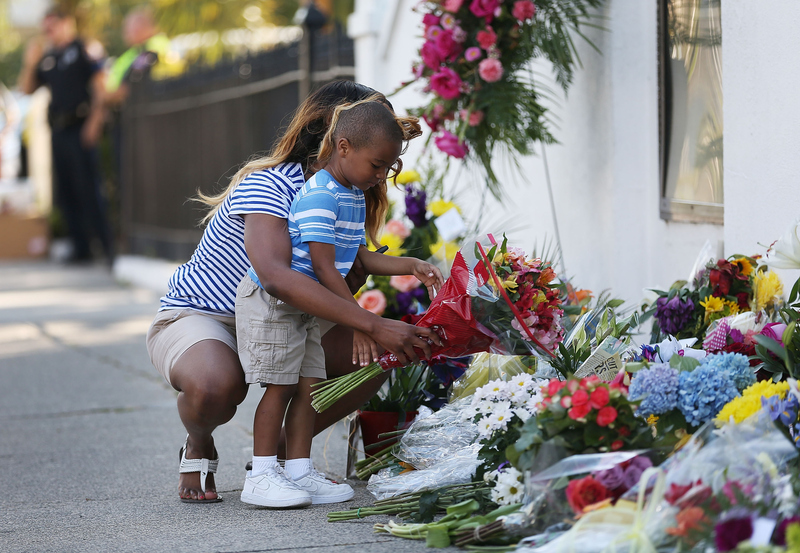 Sanders was the youngest victim of Wednesday's shooting at Emanuel AME Church in Charleston, South Carolina. Sanders and eight others were killed when suspect Dylan Storm Roof allegedly opened fire during a bible study group. Sent moments before his death, Sanders' Snapchat offers a glimpse of Roof in the corner. Though innocuous at the time, Sander's Snap, which playfully labeled the Bible study leader as the "knowledge planter," is haunting when put in the context of his death. Content shared via Snapchat is supposed to be temporary — but now some of Sander's final moments are preserved and able to be viewed by millions. In addition, the video offers visual confirmation of eyewitness accounts that place Roof within the study group, and may end up as a critical piece of evidence if Roof goes to trial. Sanders, who was 26, had recently graduated from Allen University with a degree in business. His friends described him as always smiling and constantly positive. He recorded multiple rap tracks under the name "Fresh Wanza." However, Sander's legacy and online presence shouldn't be boiled down to one chilling Snapchat. Sanders was active on social media, where he talked about his faith and dream of pursuing a career in art and music. On Wednesday, Sanders updated his Instagram with a Jackie Robinson quote, similar to the multiple motivational quotes and images that fill his account. According to friends, Sanders was known for his sunny disposition and optimistic outlook. “It was one thing I can count on Tywanza to always be inspirational,” Sander's friend Rahiem Burgess told The Wall Street Journal. As a businessman and rising musician, Sander spent a lot of time on social media marketing himself and his music. Just looking at his Instagram proves that his friends are right, because it's nothing short of inspiring.